Cannot agree more. One excellent set with, as far as I can tell: excellent value. The only reason I will not be getting is that I cannot use it in my city and that is where my money wants to go ;-). Haven't watched your review yet: scheduled for later today when the kuds are in bed . Honestly, most fora I see with afols tend to be very negative towards lego sets in general. A lot of overly cynical fans I think. It's particularly jarring when it's regarding lines clearly aimed at young kids. The redesign here was necessary, and successful. The boat is smaller and simpler but I think it works better at this scale. The criticism also reminds me of people looking at mocs that would cost hundreds of dollars, which they would never buy, wondering why lego won't do something similar . Well said Jang, and much needed. Too many folks these days would rather just trash something than be glad they have the ability to get such an amazing, beautiful and beautifully designed set. Talking trash is easier and, in today's world, more acceptable than ever, unfortunately. 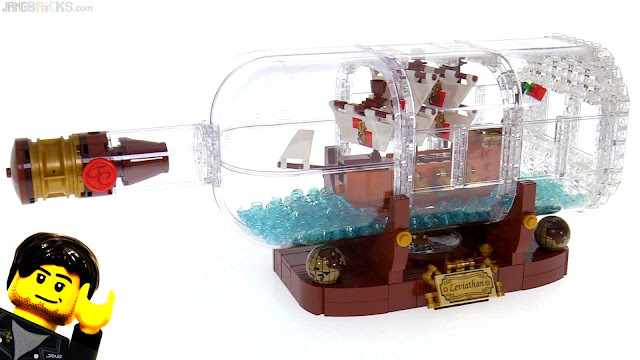 Based on the Lego Ideas rules, that set should ever even have been accepted, but it was, and it got 10,000 votes, and it was made. I'll bet the guy who made it is VERY happy. Don't let the haters get to you Jang. For every negative comment, there are hundreds or thousands of happy, pleased viewers who just don't bother to comment.